Welcome to the June and July 2010 issue of El Festival del IDQ Bloggers, which is a blog carnival by the IAIDQ that offers a great opportunity for both information quality and data quality bloggers to get their writing noticed and to connect with other bloggers around the world. Graham Rhind submitted his July blog post Definition drift, which examines the persistent problems facing attempts to define a consistent terminology within the data quality industry. It is essential to the success of a data quality initiative that its key concepts are clearly defined and in a language that everyone can understand. Therefore, I also recommend that you check out the free online data quality glossary built and maintained by Graham Rhind by following this link: Data Quality Glossary. Steve Sarsfield submitted his July blog post Lemonade Stand Data Quality, which explains that data quality projects are a form of capitalism, meaning that you need to sell your customers a refreshing glass and keep them coming back for more. What’s In a Given Name? Henrik Liliendahl Sørensen submitted his June blog post What’s In a Given Name?, which examines a common challenge facing data quality, master data management, and data matching—namely (pun intended), how to automate the interpretation of the “given name” (aka “first name”) component of a person’s name separately from their “family name” (aka “last name”). Ken O’Connor submitted his July blog post Solvency II Standards for Data Quality, which explains the Solvency II standards are common sense data quality standards, which can enable all organizations, regardless of their industry or region, to achieve complete, appropriate, and accurate data. Scott Schumacher submitted his July blog post How Accuracy Has Changed, which explains that accuracy means being able to make the best use of all the information you have, putting data together where necessary, and keeping it apart where necessary. Marty Moseley submitted his June blog post Uniqueness is in the Eye of the Beholder, which beholds the challenge of uniqueness and identity matching, where determining if data records should be matched is often a matter of differing perspectives among groups within an organization, where what one group considers unique, another group considers non-unique or a duplicate. 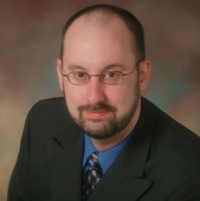 Jeffrey Huth submitted his July blog post Uniqueness in the Eye of the NSTIC, which examines a recently drafted document in the United States regarding a National Strategy for Trusted Identities in Cyberspace (NSTIC). Daragh O Brien submitted his July blog post Profound Profiling, which recounts how he has found data profiling cropping up in conversations and presentations he’s been making recently, even where the topic of the day wasn’t “Information Quality” and shares his thoughts on the profound benefits of data profiling for organizations seeking to manage risk and ensure compliance. Sarah Burnett submitted her July blog post Wanted: a Data Quality Standard for Open Government Data, which calls for the establishment of data quality standards for open government data (i.e., public data sets) since more of it is becoming available. Dylan Jones submitted his July blog post The reality of data quality disasters in a social media age, which examines how bad news sparked by poor data quality travels faster and further than ever before, by using the recent story about the Enbridge Gas billing blunders as a practical lesson for all companies sitting on the data quality fence. Jim Harris (that’s me referring to myself in the third person) submitted my July blog post Finding Data Quality, which explains (with the help of the movie Finding Nemo) that although data quality is often discussed only in its relation to initiatives such as master data management, business intelligence, and data governance, eventually you’ll be finding data quality everywhere. How to Measure Data Accuracy? Are You Creating Duplicate Records? Does Enterprise Data Quality need to push the boundary more? Four centuries later, I find myself in complete agreement with Shakespeare (and not just because Harold Bloom told me so). Today is April Fool's Day, but I am not joking around - call Dennis Miller and Lewis Black - because I am ready to RANT. Ones that make me fill out a "please mercilessly spam me later" contact information form before I am allowed to download them remind me of Mrs. Bun: "I DON'T LIKE SPAM!" Ones that after I read their supposed pearls of wisdom, make me shake my laptop violently like an Etch-A-Sketch. I have lost count of how many laptops I have destroyed this way. I have starting buying them in bulk at Wal-Mart. Ones comprised entirely of the exact same information found on the vendor's website make www = World Wide Worthless. Ones that start out good, but just when they get to the really useful stuff, refer to content only available to paying customers. What a great way to guarantee that neither I nor anyone I know will ever become your paying customer! Ones that have a "Shock and Awe" title followed by "Aw Shucks" content because apparently the entire marketing budget was spent on the title. Ones that promise me the latest BUZZ but deliver only ZZZ are not worthless only when I have insomnia. Ones that claim to be about data quality, but have nothing at all to do with data quality: "...don't make me angry. You wouldn't like me when I'm angry." Ones that take the adage "a picture is worth a thousand words" too far by using a dizzying collage of logos, charts, graphs and other visual aids. This is one reason we're happy that Pablo Picasso was a painter. However, he did once write that "art is a lie that makes us realize the truth." Maybe he was defending whitepapers. Ones that use acronyms without ever defining what they stand for remind me of that scene from Good Morning, Vietnam: "Excuse me, sir. Seeing as how the VP is such a VIP, shouldn't we keep the PC on the QT? Because if it leaks to the VC he could end up MIA, and then we'd all be put out in KP." Ones that really know they're worthless but aren't honest about it. Don't promise me "The Top 10 Metrics for Data Quality Scorecards" and give me a list as pointless as this one. I am officially calling out all writers of Data Quality Whitepapers. Shakespeare and I both believe that you can't write anything about data quality that is worth reading. Send your data quality whitepapers to Obsessive-Compulsive Data Quality and if it is not worthless, then I will let the world know that you proved Shakespeare and I wrong. And while I am on a rant roll, I am officially calling out all Data Quality Bloggers.